I have gleefully engaged my facebook tribe, sharing memes and status updates that my friends would appreciate. But recently, I posted something else. It started with a funny, wiggly feeling in my belly, and resulted in a status update that suggested “those people” might have some valid points. Who are those people, you ask? Gun owners, Trump supporters, people who eat gluten? Well, of course, the specifics don’t matter. I had betrayed my tribe by suggesting that “they” might be like “us”, and a few vocal friends made it clear that I was crossing a line. And even before I hit “share,” that wiggly feeling was the twinge of fear and guilt in anticipation of my betrayal. And this is where Constellations come in. Constellations have become my teacher: by making empathy central, by generating compassion, and by showing me that there is no other. to heal personal and social trauma, we must recognize the “other” as neighbor, sister, self. As a general statement, this might get a lot of “likes,” but in practice, it takes a LOT of courage. I have another tribe. 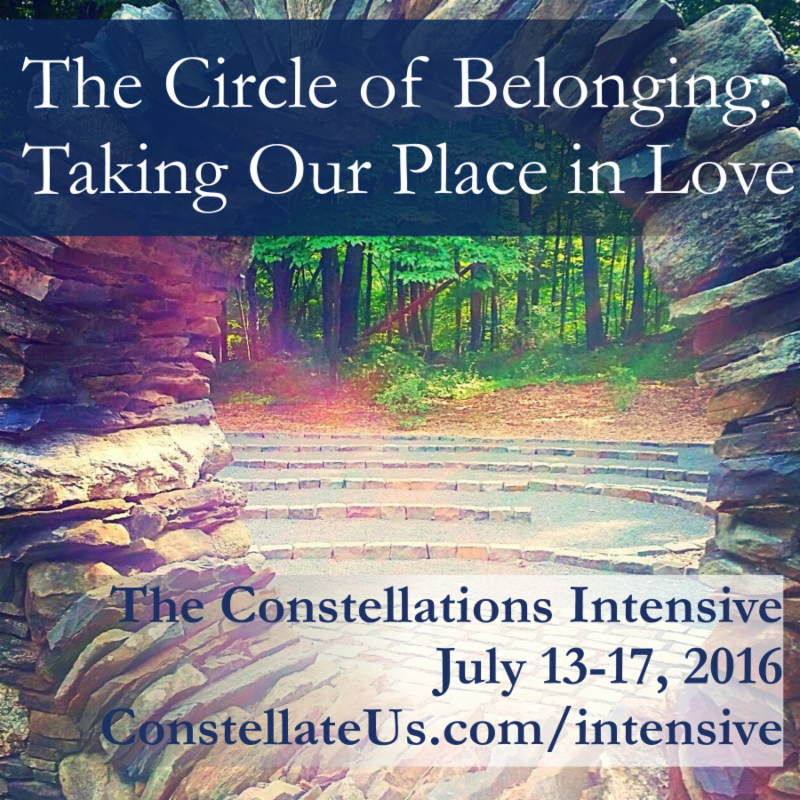 Each summer at the Constellations Intensive, I feel myself part of a very special community of allies and friends. 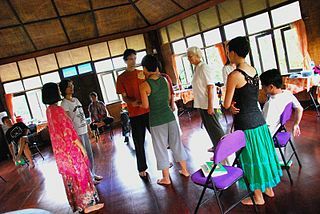 What I get from the Constellations Intensive is the support and empowerment to engage in the act of Radical Inclusion: an act of Radical Love.